The late 1980’s were a busy and exciting time for Jim. He had his hand in a number of projects including The Jim Henson Hour and The Storyteller. When January of 1988 rolled around Jim had succeeded in selling The Witches to Lorimar Film Entertainment with himself serving as Executive Producer. 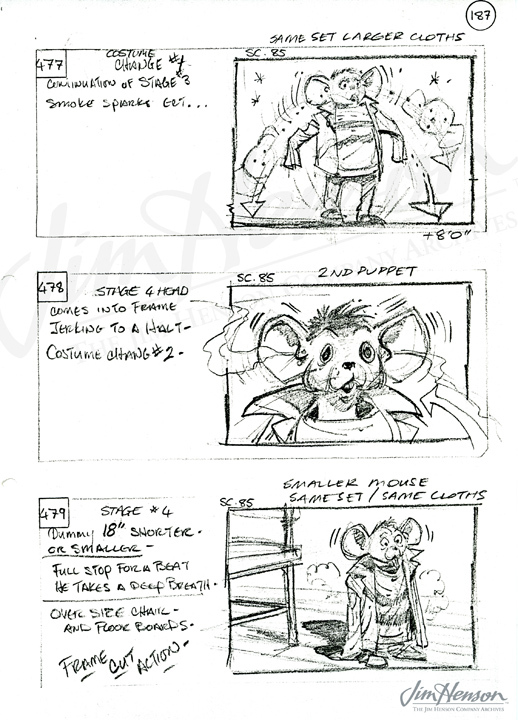 Jim was eager to establish a new balance between actor and animatronics, a goal he strived to achieve with past projects such as Labyrinth. 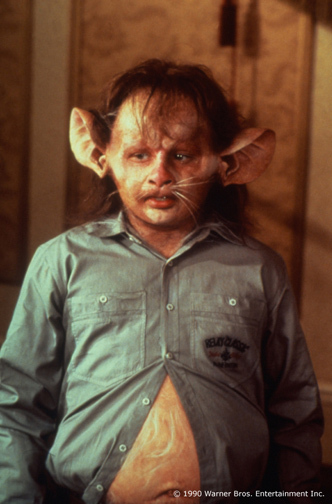 Development meetings took place immediately and at one particular meeting on January 26, 1988, Bernie Brillstein, Jim’s manager and friend, suggested filming two endings, one that followed the original ending from Roald Dahl’s book in which the boy, named Luke in the film, remains a mouse, or the alternative with Luke being changed back into a boy. 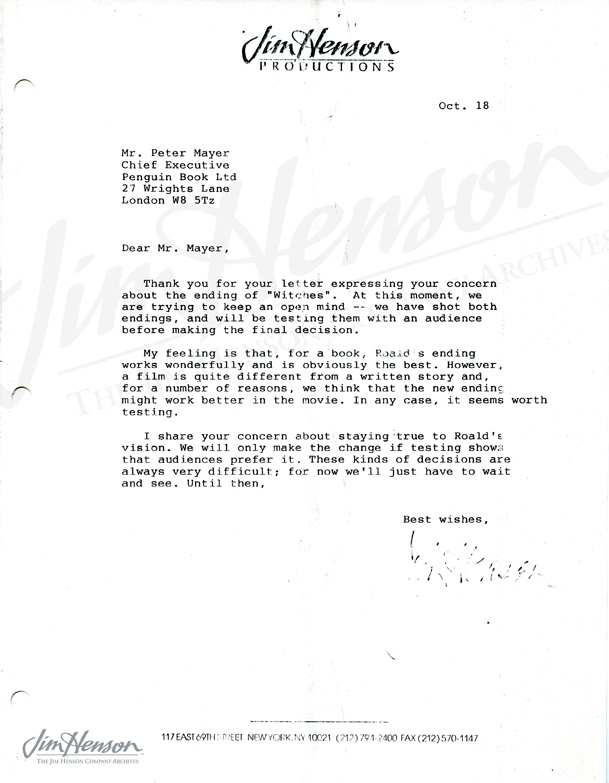 Jim’s letter to Penguin Book Ltd regarding the ending for The Witches, 1988. 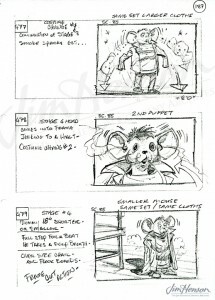 Storyboard from The Witches featuring the Creature Shop’s transformation process from boy to mouse, 1988. Bruno Jenkins (played by Charlie Potter) in a publicity still from The Witches, 1990. 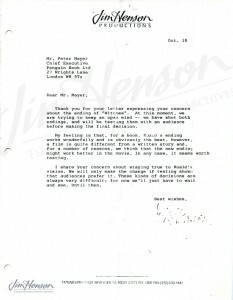 This entry was posted in 11-November '88, 1988, Witches and tagged Brillstein, Dahl, London, Lorimar, Los Angeles. Bookmark the permalink.